This winter WestJet is launching two new routes to Florida, one to Mexico and one to Costa Rica, as well as adding more than 85 flights throughout its domestic and international networks. Additionally, WestJet Encore will launch three-times-daily service between Toronto and Boston. Japanese carrier All Nippon Airways is proposing to launch services to Vancouver and Hanoi for the first time, planning to serve both destinations from Tokyo Haneda Airport from March 30. ANA also plans to introduce new routes on March 30 from Tokyo Haneda Airport to London Heathrow, Paris Charles de Gaulle, Jakarta and Manila. WestJet Encore is adding three new Canadian domestic routes, while WestJet itself is launching a seasonal Calgary-Miami service. The JAL Business Class cabin in each refurbished Boeing 767-300ER will be fitted with 24 new JAL Sky Suite II seats, each designed to recline 180 degrees into a fully flat bed. Each 767 will also have a total of 175 Sky Wider economy-class seats, arranged in a 2-3-2 configuration. 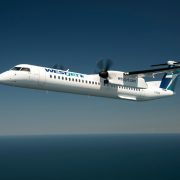 Canadian carrier WestJet plans to launch daily non-stop service between Chicago and Vancouver and between Chicago and Calgary on May 14, subject to receiving government approvals. In major markets of the developed world, dark and depressing airport hotels are becoming a thing of the past. Global hotel chains are providing major upgrades in consumer choice. A good case in point is the Vancouver Airport Marriott Hotel, located in Richmond, British Columbia.